Considering how stressful and difficult even perfectly executed moves can be, one really cannot afford to make mistakes when it comes to making a commercial move. Everything should be jotted down from the beginning and a proper plan should be made which is then executed to perfection. In such a scenario, working according to a set timeline has proven to be a very effective plan that has worked for a number of people. Timelines are similar to a checklist, but the main separating factor is the fact that they are devised and organized with time as a guideline. You can easily sort the tasks according to the weeks or days left before the move. Relocating to a new office is never an easy task. It is often considered to be much more taxing than a residential shift. Creating a timeline for the process can ensure that one is able to do the work on time without any issues. In many situations, the core reason why relocations are such hectic times for the people involved is that people often underestimate the number of tasks they need to carry out and, as a result, are left with too much to do at the last moment. This, understandably, can cause a lot of stress and difficulty. If you are about to indulge in a commercial move and are interested in avoiding a stressful situation, in turn relocating with preparation and ease, go through the comprehensive timeline mentioned below and follow it as best as you can. Just two months before the move, it is time to start preparing for it. At this stage, you aren’t required to do any tasks that require a lot of work but simply to begin with smaller activities like marking the date of the move, setting up a folder or checklist with all of the necessary tasks that must be done, and gathering a set of notes with all the details written down. The next thing to do is to select which of the office supplies are going with you to the new location and which are going to stay behind. Depending on the size of your new office, you can even choose to take everything with you. We’ve mentioned before how moving companies can shape the bulk of the relocation experience, with the less professional ones causing more issues than convenience. It is imperative to begin the research process for moving companies at least 2 months prior to the actual move. Choosing a moving company is no easy task as one needs to ensure that their service is genuine, worthwhile, and cost-effective. This can be a long and tiring process, especially for a large-scale move such as that of an entire office. Thus, it should be started as early as possible. At this stage, simply start by taking recommendations from co-workers, friends, family, and neighbours. 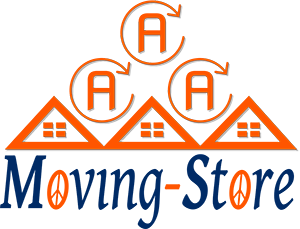 It’s important to figure out whether you plan on packing yourself or wish to pick a moving company that provides packing services as an add-on, free of cost or at discounted rates. If it is the latter, you won’t have to purchase supplies such as boxes, bubble wrap, and tape. 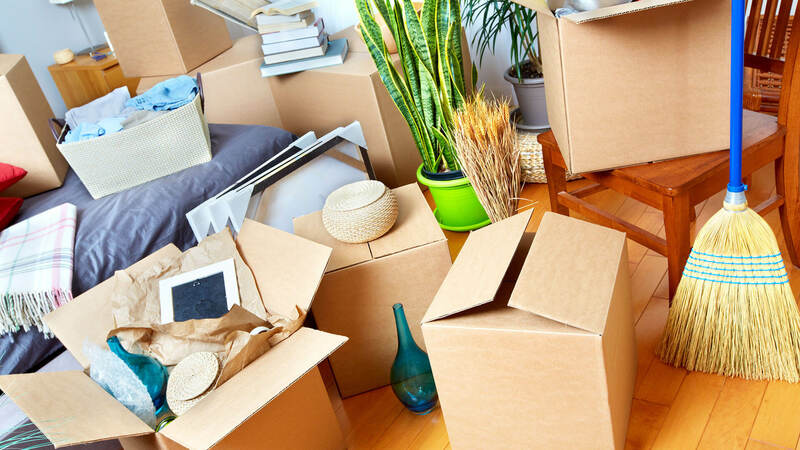 However, if you plan on packing yourself, then this would be a good time to gather all those items to make sure you don’t fall short a few days before the move. Usually, for office moves, people prefer to hire professional packing companies as opposed to doing it themselves because of two main reasons: all the fragile electronic equipment and bulky office furniture, and the sheer amount of items that need to be packed. When moving to a new office, the management often realizes that they have gathered way too many items, most of which they do not intend to use in the future. In such a case, it is recommended to sell or donate these unwanted office supplies. Usually, this is the time when people wish to clear any tabs, loans or other payments they may have pending in locations near their office. Anything from as small a pending payment as one for minor office supplies should be paid off during this period. Now’s the time to really get serious with your moving company picks. Narrow down your selection, survey the ones you have left, and call in for quotes. Make sure to show them all of the items they will have to move when they come for an inspection. Compare their services with their charges and do not forget to check online reviews. Once you’ve picked a company, decide the exact date, time, charges, and all other details. At this stage, it is recommended to begin notifying important authorities that you plan on moving to a new location. This includes the landlord of the office space and the utility companies. Getting in touch with all these authorities at your new office is also important to ensure that you and your employees don’t face issues that disrupt the resumed operations in the new place. With just one month to go, it is a good idea to de-cluster – start packing all the items you can so everything is not left to be done on the last day. This includes all non-essentials that are not used in the day-to-day operations in the office. Make sure to label the boxes so as to not confuse them later on. Visiting the new office once can be a great way to get used to it and prevent the moving experience to be a jarring one for the employees. Settling into a new place one hasn’t ever seen can take time and can, thus, distract them from work, causing losses for you even after the relocation is over. If you’ve planned on packing yourself, or even if you have hired someone to do it for you, it is time to start, leaving nothing behind but the absolute essentials that can only be packed in the last day or two. Make sure to keep valuable office items such as documents and similar assets in a safe place so you don’t misplace them. Items that can’t be donated or sold and are not needed in the new office can be thrown away at this point. With just a few days to go, contact your moving company to confirm the date and make sure that they are on board with all of the details. Confirm your addresses, the time, and the date, and make sure everyone is on the same page. In the last week, create a box with the most essential office items that will be needed as soon as you reach the new workplace. Make sure to keep this box close to you and not in the moving truck as it can be hard to locate it among all the other boxes. Important documents and other such files that can get lost during the trip should also be put into this box. Making sure to help the hired movers in any way possible is recommended for a smooth and safe transition. Make sure to inform them of the boxes in which fragile items have been packed so that they can be loaded and carried with extra care. It is also imperative to ensure that all the items are moved onto the truck and that nothing is left behind. The final job on the list, after the 2-month long journey, is simply to look back at the office. It should be empty by now, however, it is recommended to take one final look around to ensure that nothing is left and that everything has been loaded and finalized. All that’s left after this is to say your goodbyes and have a safe journey to your new location. While this is a general idea of how a 2-month long moving timeline can span out, it is important to realize that these steps and their sequence can differ based on each individual office and company. Considering how complicated a commercial move can be and the different kinds of situations that can arise, there’s no doubt that each move is different from the other, with its own share of hurdles, issues, and complications that need to be dealt with. In such a case, it is important to use your wit to handle all situations well. However, this timeline can be used as an effective guideline that can ensure a smooth workplace relocation and assist in alleviating a lot of the stress and difficulties that come with such moves.